Why is most medication plant-based? It was discovered that in the oldest civilizations, plants were used to treat or relieve certain ailments. These ancestral methods have always existed in most countries. Almost half of the medication that we know of is of vegetable origin, in fact, one could even say that most treatments throughout the world are plant-based. Plants function through photosynthesis; they particularly absorb carbon dioxide (CO2 is dangerous for people, but indispensable for plants), water, mineral substances from the soil and light to produce oxygen. It doesn't stop here, they also produce what are commonly called fatty and amino acids and sugar: three components which are also called primary metabolites, as well as specialised metabolites (Flavonoids, saponines, alkaloids..) and have curative properties (From the latin curare, which means to heal). The term curative properties , and not curative virtues is used here, although since olden times, according to the beliefs and eras, this type of healing often had magical overtones. A medicinal plant is therefore a plant whose parts are used for healing purposes (Root, leaf, flower ). They should be used with caution, and their preparation reserved for specialists such as pharmacists, herbalists and other experts, whatever they may be called in terms of the country and culture concerned. In western countries, only a fraction of medicinal plants is freely sold. Throughout the ages, man has recognised the properties of plantes, properties which are curative as well as toxic. 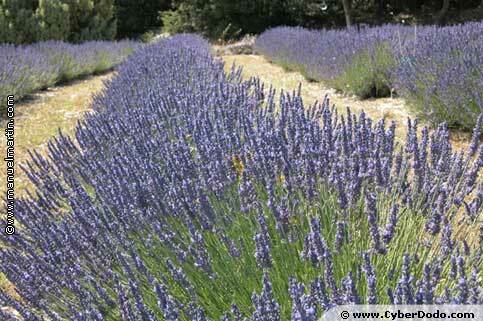 5 millennia ago, the Sumarians were already using plants such as Flax, Thyme, Hemp or even Myrtle. A little closer to our times, a piece of Egyptian papyrus more than 20 metres long travelled through 35 centuries to reach us. This document is called Papyrus Ebers (From the name of its translator, the German Georg Moritz Ebers), and contains some of the oldest known medical treatments. It covers numerous diseases and their treatment, which refers to the use of several hundred plants! Throughout the world, there are hundreds of thousands of plants, with almost 75% in equatorial and tropical forests, 250 000 have already been described and about 3000 have been scientifically studied. Certain specialists explain that chemistry allows for the reproduction of the main assets of plants, thus enabling improvement of their basic efficiency or on the other hand, reduction of its secondary effects.